Sisense provides business intelligence software for green intelligence that lets organizations conduct their business in the most environmentally sustainable and eco-friendly way. 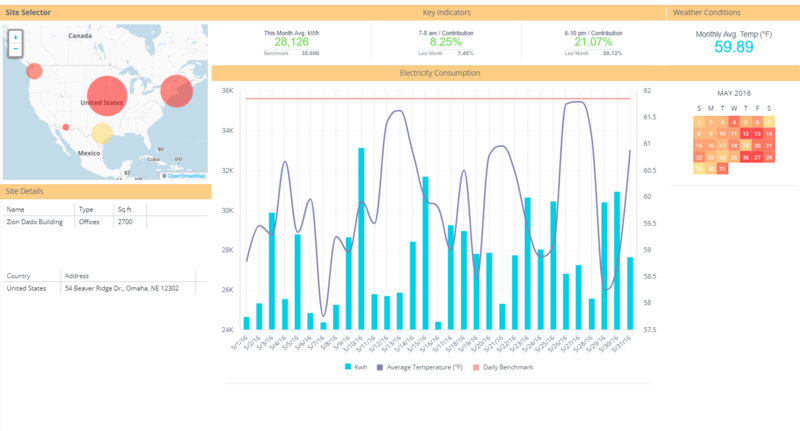 Using Sisense BI software, companies can easily combine multiple, large data sources and create customized green BI metrics and performance dashboards to ensure they are maximizing their capabilities to be eco-friendly. Sisense's unique BI technology is perfectly suited to achieve the required transparency and business intelligence into the most critical sustainability issues. Green BI is enabled by joining disparate information and data sources which contain the relevant consumption, output and sustainability data. When the required variety of data sources can be combined in an easy and flexible manner, the inclusion of green BI indicators in executive dashboards and corporate reports allows management to make a great leap forward in achieving green initiative goals. The resulting green BI applications will provide the detailed data and measures required for managers to make ecologically sound decisions. Sisense offers an entirely new way to deliver fresh, actionable intelligence to managers in green organizations. No other BI solution in the world lets non-techies take large amounts of scattered data and create beautiful BI dashboards as quickly or as easily. That's why Sisense is called the "Robin Hood of the BI world" - we bring data justice to everyone, not just the technical experts or big companies with endless resources. Our secret sauce is the powerful technology we use to design our BI software so users don't need to write complicated code or rely on IT , so anyone can build a dashboard from multiple large data sets, using any device. Unlike other BI vendors, Sisense is a business intelligence data visualization software and no additional or third-party software is required. See a live Sisense BI dashboard here.